The Nintendo Entertainment System is also known as The Famicom (in Japan), it’s the original 8-bit home video game system that hit the U.S market just in time for Christmas of 1985. The full name of the U.S. version was called the NES for short. This was the game system responsible for bringing the United States Video Game market out of the video game crash of 1983. 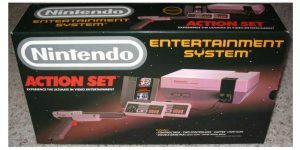 The most popular bundled NES set sold was called the NES Action Set. It came with two control pads, a light zapper gun, and a Super Mario / Duck Hunt cartridge game. It sold about 62 million units altogether and was considered a huge success for Nintendo. Here’s an Original Nintendo NES commercial posted on YouTube. 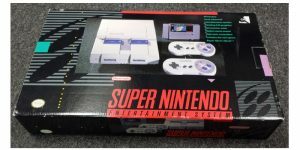 Also known as the Super Famicom (in Japan), the Super Nintendo System (SNES) is a 16-bit home video gaming system released in the U.S. in 1991. For Nintendo, this was a big deal at the time and it sold just under 52 million consoles. Another huge success! I remember challenging my brother to a game of Super Mario World and Street Fighter II like it was yesterday. The SNES version of Street Fighter II blew away the Sega Genesis version by a long shot. It was so close to the arcade version it was unbelievable at the time. With the help of the six-button controller that came with the SNES, it was ingenious. Here’s a Super Nintendo SNES commercial posted on YouTube. 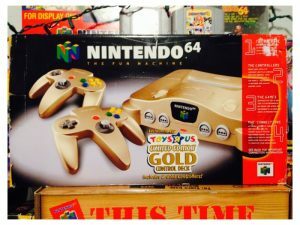 Like all good toys, the Super Nintendo got old in 1996, so the Nintendo 64 (aka, N64) was released just before Christmas of 1996. 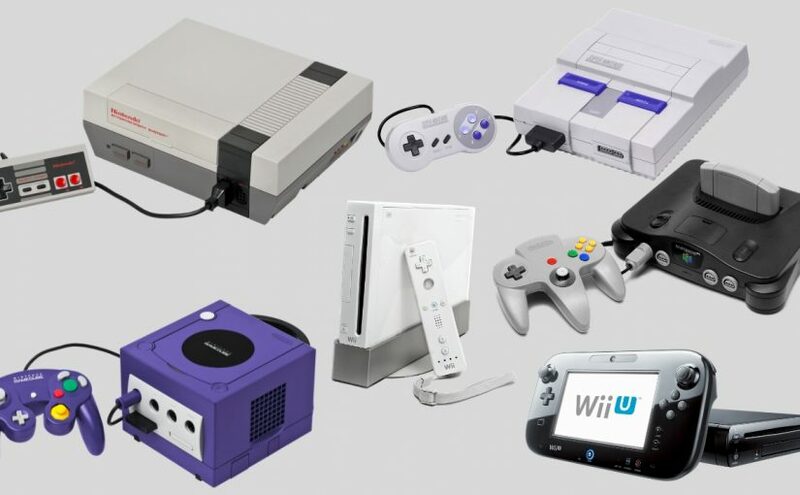 This was the first 64-Bit Nintendo home video game system. There are some rumors that it was supposed to be a CD system, but good old Nintendo said: “screw the CD’s were going to do cartridges”. They’d later regret this as the Sony PlayStation appealed more to developers because they could get a lot more data on a CD, 700MB worth vs. 64MB. Oh well, Nintendo would later fire back with the Wii, we’ll cover that in just a bit. Overall, the N64 did OK with just under 33 million units sold. Here’s a Nintendo N64 commercial posted on YouTube. The GameCube was released in the U.S. in 2002. It was a little video game system with a handle and a top loader for a mini DVD disc. The console was in the shape of a cube and the dimensions were 5.9 × 6.3 × 4.3 inches, talk about small. Each game mini DVD disc had a 1.4GB capacity and was formatted with Nintendo’s own proprietary filesystem. This was a smart idea because it made piracy really hard to do. The funny thing about the GameCube is that Component Video Cables were not very popular at that time of its release. Those were an optional purchase to upgrade the picture quality to 480P. Nowadays if you want to buy an authentic pair of those cables, you’ll spend upward to a few hundred dollars or more. Ridiculous! 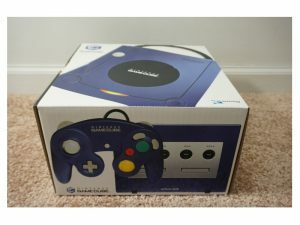 They sold just under 22 million units of the GameCube. I picked mine up in 2003 specifically so I could play Zelda: Wind Waker and Mario Kart Double Dash. Here’s a Nintendo Gamecube commercial posted on YouTube. When the Nintendo Wii came out in 1996, it was the first modern-day video game system to use wireless motion controls. It was using a higher capacity game disc with a 4.7GB capacity. Nintendo had a shortage problem with the Wii and I absolutely refused to camp out in front of a retail store for it on its launch day. So I waited a few days, then checked Craigslist to find one for sale. It was bundled with Zelda: Twilight Princess. I got really lucky because I paid 50 dollars over retail for it. 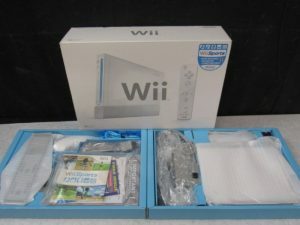 There was such a shortage of Wii’s in 2007-2008 eventually some people paid upwards of 500 plus dollars as it got close to Christmas. The Wii sold over 100 million units by the end of its life. It was one of the biggest successes Nintendo ever had for video gaming. And it’s my second favorite video game system, behind the original NES. The motion control technology with the Wii remote was spot on, different, and really made you feel like you were swinging a real golf club, swinging a tennis racket, or swinging a sword while playing Zelda. The virtual console was new at the time and helped fuel the popularity of retro video game playing. You could buy many retro classic games for around 5 bucks each. Here’s a Nintendo Wii commercial posted on YouTube. 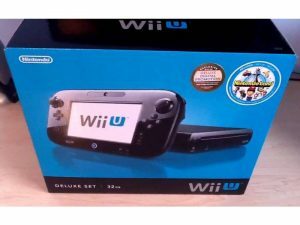 The Nintendo Wii U was released in 2011 and was never really a big hit like the original Wii was. It was supposed to be an HD graphic Wii with an interactive tablet controller. Wii U games were on a disc with a capacity of 25GB. The marketing done by Nintendo was horrible, and a lot of people honestly did not know what its full potential was or why it was better than the regular Wii. Not to mention it was way more expensive at around 300 – 350 dollars. And they were still selling the Wii and the Wii mini for 100 – 150 dollars. Nintendo would sell over 13 million units though. A lot of the movement was due to bundles they did for a remake of Zelda: Wind Waker HD and Super Mario Kart 8. Thank you, Mario and Link! The Wii U system is 100% backwards compatible with most Wii Games and its motion controllers. I always saw the Wii U as nothing more than a Wii with an HDMI connector. And an awkward, clumsy Tablet Controller. When I bought one, I got it for the Zelda: Wind Waker HD bundle. I played it for a few hours and then put it back in the box. I could not stand playing with that tablet controller. Nintendo was in the gutter on this one; it was discontinued in the later part of 2016. Here’s a Nintendo Wii U commercial posted on YouTube. Previous Previous post: What Made Nintendo Video Games So Popular and Valuable?